McQuilkin was a significant figure in the Northern California crafts movement of the 1970's and 80's. 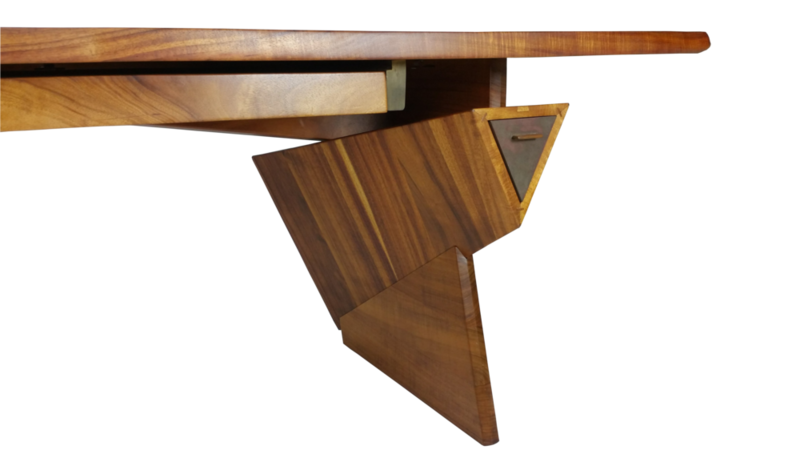 The patron who commissioned him to build this desk gave him free reign with his artistic license. 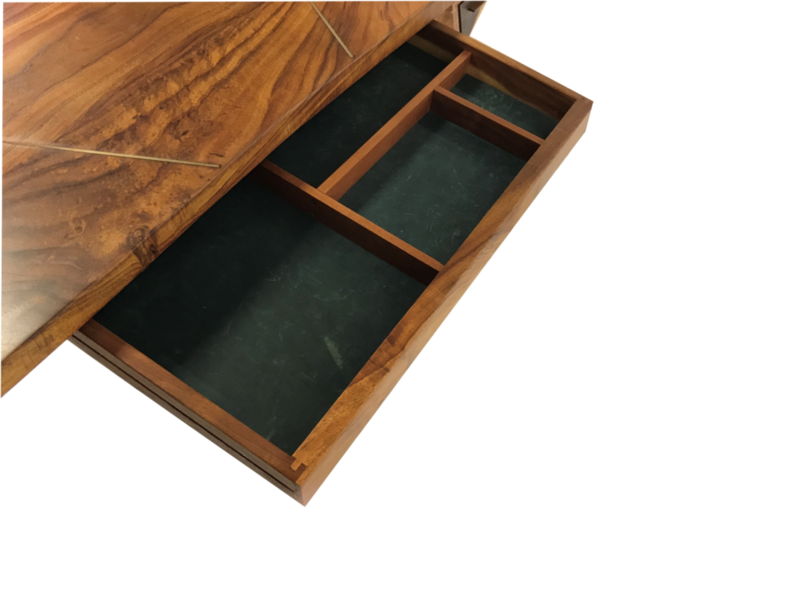 The result is this distinctively beautiful desk that will be the statement piece in any interior. 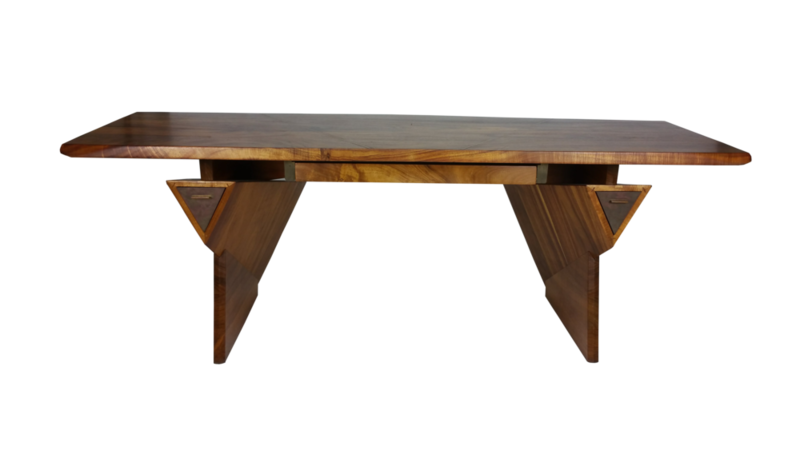 This spectacular masterpiece was made in 1983 out of solid Koa wood and brass inlay. It has recently been refinished and is in excellent condition. 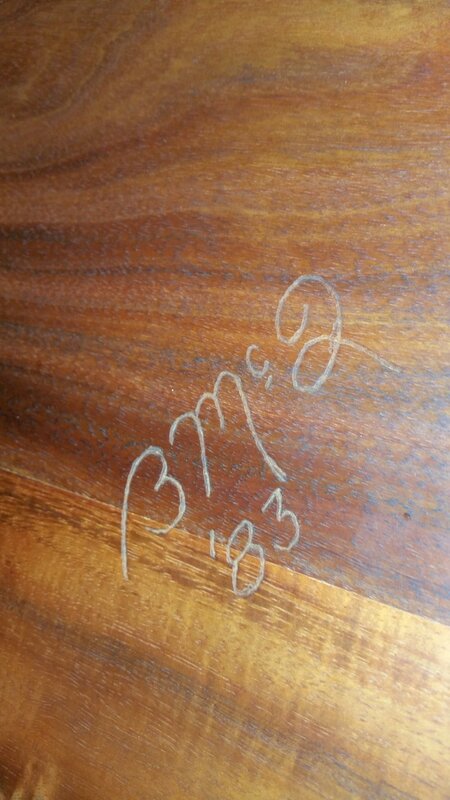 Etched signature and date on underside of deck.